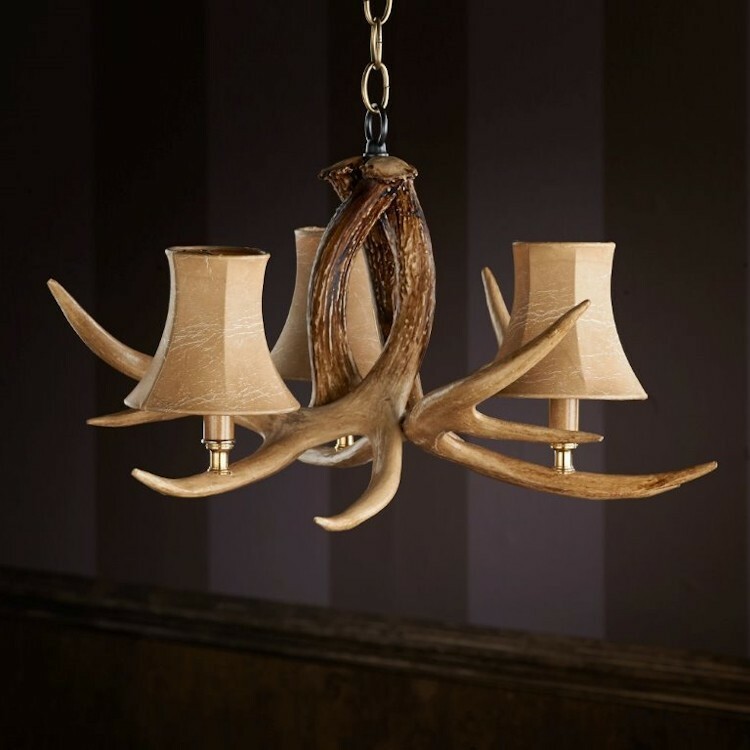 The Ozark Faux Antler Chandelier features three antlers that each hold a single candle light. Use this chandelier in small spaces for a rustic touch. Injection molded from real whitetail deer antlers.